We offer a seasoned and professional Home services on a day to day basis. Deep Cleaning of ailing Equipment and refurbishment in accordance to ISO 9001 and OSHA 18001. We cover most of London. Check out our covered areas under our services. We offer domestic cleaning in the homes of people with busy lifestyles. Good impressions count. 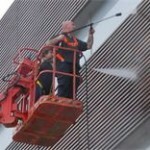 Apcleaningjservice commercial cleaning take pride in presenting your business premises in the best light. 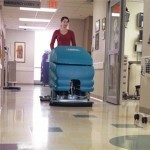 We want your cleaning jobs and we will try to provide you with the best quote possible. Please contact us today and will will get back to you within 24hrs. We have a very good and well established reputation in providing residential and commercial cleaning services in all London postcode areas. If you need a regular cleaner in London to look after your home then we can provide you with the very best professional cleaners. Our cleaners are friendly and hard working and will clean your home on a day and at a time which is convenient for you. If you’re moving out of rented property then why not choose our end of tenancy cleaning service. We can provide all our own equipment so there’s no need to worry about buying expensive cleaning products and materials. Our deep cleaning service is something special. Whether you’re preparing for a special occasion and need you home to look its best or you’ve simply been too busy to spend time on heavy duty cleaning our professional cleaners in London can give you the results you want. Apcleaningjservice offers light commercial cleaning and office cleaning in London postcodes. We can design the best cleaning package to give your premises the professional cleaning service it requires. Steam cleaning cleans deep without the need for chemicals and our steam cleaners kill 99.99% of bacteria as well as allergens using just water! this news will be updated here and here ..
Email us today for a no obligation quote. click the button to contact us today, We are sure to try best to beat any quotation. Copyright © 2016 apcleaningjservice.co.uk, Inc.